Choosing a video card is a rite of passage for PC gamers. Researching, buying, and installing a brand new card for an existing rig separates casual gamers, who simply buy a new PC every so often, from those who truly care about the capabilities and performance of their system. Yet the process to choose a video card often stonewalls those who’d like to take advantage of their PC’s potential. There are numerous video cards available, and most are available in several versions. 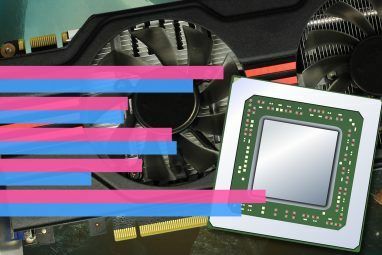 That’s why any gamer looking to break into the do-it-yourself territory should check out GPU Boss, a site that breaks down hardware with easily understood graphs and comparisons. GPU Boss doesn’t waste time. Load up the front page and you’ll see just four pieces of content. First is a list of comparisons, followed by a list of best video cards, then a slideshow of reviews and finally a filter tool that lets you view only video cards that fit in your price range. And that’s it – but does there really need to be anything else? By limiting information on the front page, GPU Boss provides you with four clear portals to information. And those portals are different. Those who want only the best will veer towards the best-of list, while those who have a tight budget will head to the price filter. This simple, visual presentation continues once a specific card or comparison is brought up. Rather than serving up an in-depth review about architecture and RAM technology and power consumption, GPU Boss provides only the most relevant details. 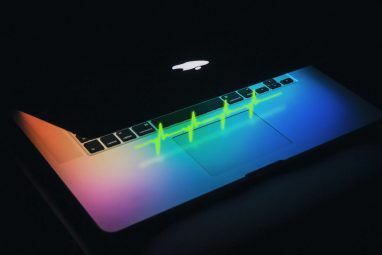 Each video card review has a conclusion with four ratings: Gaming, Benchmarks The 10 Best Free Benchmark Programs for Windows The 10 Best Free Benchmark Programs for Windows Use these fantastic and free benchmark software for Windows to troubleshoot your system and keep it updated. Read More , Compute Performance, Noise and Power. A numerical score, which is based on a combination of results in the GPU Boss database, is applied to each section. Then the numerical benchmarks are averaged to generate a final, overall score. This is one of the site’s weak spots, however. The overall score gives equal weight to all four sub-scores, so it’s possible for a card that offers worse performance in benchmarks to receive the recommendation if it has much higher compute performance or uses less power. Because of this, I recommend ignoring the overall score and just focusing on the individual categories you care about. This will guide you to a card that’s well suited to your needs rather than one strong in areas of no importance to you. Comparisons are formatted like reviews but have a Differences section added. The areas where a particular card wins are listed. This information can be a bit geeky for beginners, but it helps break out specific areas where one card has an advantage. You might, for example, want to see exactly how well a specific card handled Battlefield 3 4 Hardware Upgrades For Battlefield 3 Fans [Gaming] 4 Hardware Upgrades For Battlefield 3 Fans [Gaming] Battlefield 3 has finally been released, bringing a first-class shooting experience back to PC games. While consoles have received the game as well, for PC gamers it was a particularly notable release, as the game... Read More or Civilization 5. Both reviews and comparisons include a competition section near the bottom of the page. In this area you’ll see more cards that are in about the same price bracket. Checking a pair of these cards will open a new comparison. At the bottom of every review or comparison there’s a link to a more detailed format. It brings up an entirely different page that provides additional information about performance and features. In this view, you can see how a card performed in an exact benchmark and examine individual features. Let’s say you have a high-resolution monitor, for example, and want to make sure your next card has the memory bandwidth needed to handle detailed games at 2560×1600. The detailed features section will let you see how a card stacks up in that area. Can GPU Boss Stand Up To Professional Reviews? GPU Boss does have to limit itself to a selection of benchmarks and, though the benchmarks are well chosen, they may not be the ones most relevant to you. Most of the gaming results displayed on the site are derived from action games, for example. GPU Boss may not be a great resource if you’re more interested in playing Starcraft 2 The 5 Best Places to Watch Competitive Gaming Online The 5 Best Places to Watch Competitive Gaming Online Competitive gaming seems to be hitting its stride. Finding out where to watch professionals compete can still be a problem, however. For all their effort, a lot of the sites dedicated to pro gaming are... Read More or DiRT 3. The site also lacks information about physical traits and features that may be important. GPU Boss won’t help you discover how many monitors a card supports or pick the best card for a multi-GPU rig. 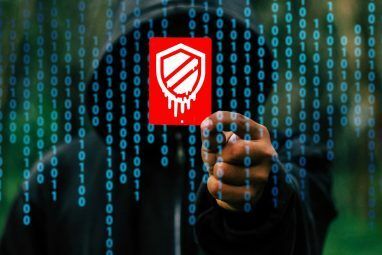 These flaws seem to be a carry-over from sister site CPU Boss Do You Really Need The Most Expensive CPU? Find Out With CPU Boss Do You Really Need The Most Expensive CPU? Find Out With CPU Boss Picking out a CPU for your next computer is no mean feat. Of course, if you build your own desktop, you can usually go with a single motherboard and just swap out the CPU as... Read More . Processors don’t have ports, are generally the same size, and have few added-value features – so details like these don’t matter. But they do matter in the GPU market, and GPU Boss hasn’t quite figured out how to present all of this information via simple graphs. Still, the features not shown on GPU Boss apply to a niche audience. 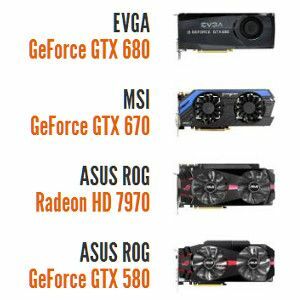 For most gamers, this site is an excellent resource that cuts through the confusion and reduces the time required to properly research and choose a new video card. I recommend using GPU Boss as a launchpad and turning to professional reviews to fill in details that this site doesn’t provide. Explore more about: CPU, Video Card. the technology is still booming and the next time when we look at the top,there will be an another monster gpu. There absolutely no way GTX690 to be less noisy than Radeon 7970. Period! The same goes for power. I have used GTX480 and it had the same issues... Very loud! And I mean it! VERY LOUD CARD! You can bearly hear anything in close proximity if the fans are close to maximum level! I'm sorry - I just don't belive on that review. Thank you for the great site! I have been going years with just researching it myself and after being out of the loop every 2 years or so starting back up for the next new card takes a few min longer than I feel necessary to find what you need. I always said they need a site like this to just tell you everything up front and quickly. I always wondered why graphics card manufacturers always made it so difficult to just keep track of what the newest and greatest cards are. Model numbers should correspond in an order that can be easily tracked, not this system where every few years it changes. Consider this new site bookmarked for later use. Thanks again. Awesome! I've been looking for something like this for ages! tomshardware.com is pretty could but can be somewhat confusing and a little bit difficult to actually find direct comparisons. I've been trying to find what the nvidia equivalent is for my ATI 6880. Gonna head over to Boss now to see what I can dig up!